Locksmith Monkey is your first choice when you need a auto locksmith or residential and commercial locksmith in Portland, OR, or the nearby areas. As a trusted locksmith company, we serve the needs of customers needing reliable locksmith services provided quickly and efficiently. We are also your trusted source residential and commercial locksmith services and installation, as well as re-keying. Whether you need an automotive locksmith, emergency locksmith, or any other type of locksmith services, you can depend on us to provide the best workmanship and attention to detail. We service locks of all types including car, home, and office unlock services. We are a 24/7 emergency mobile locksmith that is truly there when you need us. We believe in offering the most affordable and budget-friendly locksmith services that is just what we provide to our customers. Turn to us for every type of locksmithing service you need at a price that is sure to fit within your budget. At Locksmith Monkey, we offer comprehensive locksmith services including safe and vault installations, lock picking, key cutting, door lock installations, and more. We are your reliable source for expert auto locksmith using the most modern technology and techniques. As a trusted locksmith and lock repair professional, count on us for prompt and exceptional services every time. Since 2010, we have been the locksmith service of choice in Portland, OR. We are ready to provide the fast and efficient locksmith services you need. Contact us for 24/7 locksmith services by calling us at (503) 465-4595 today! 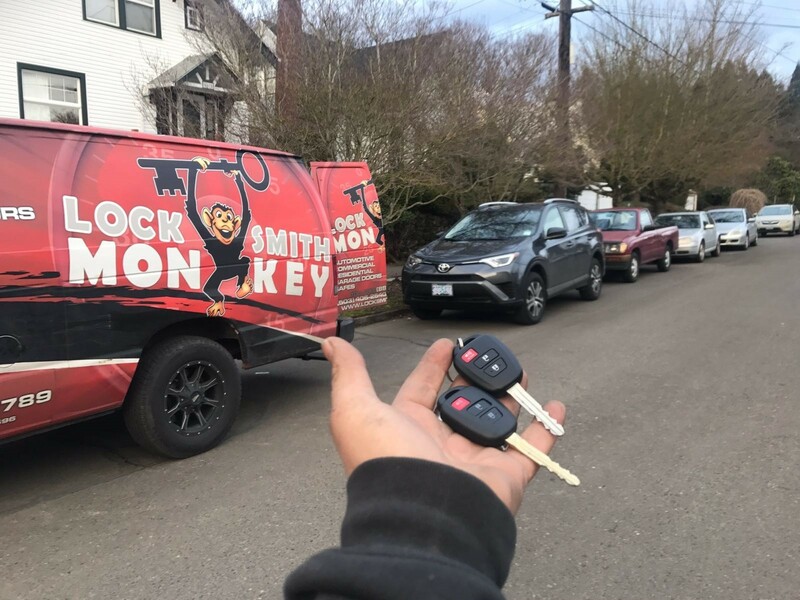 Emergencies happen and if you’re in the unfortunate situation that you’ve locked your keys in your car, been locked out of your home or office or you need emergency locksmith assistance, Locksmith Monkey are available to come to your aid in a moment’s notice across Portland. Locksmith Monkey are the specialists in keyless, keyed and push button entry for all makes and models of cars. Our Portland-based automotive locksmiths provide access to the highest quality car keys for a wide range of services including car key replacement, emergency auto locksmith, ignition repair, re-keying, transponder installation and repair, key programming and much more. The safest place for anyone is usually within the home, and when your locks and security is compromised or faulty it’s important to call on experienced locksmith services to ensure your property is safe and secure. We’re commercial locksmiths that specialize in master key systems, safes, access control and electronic keying. Our licensed, bonded and insured locksmiths are available to assist with commercial lock rekey, lock change, lock repairs, installation, keyless entry and much more on your commercial property. If you’re in need of safe or vault installation, opening or repairs Locksmith Monkey are the specialists in maintenance and installs of a wide range of safes and vaults across Portland. Monkey Garage Door Repair in Portland solely makes use of the superlative solutions, items and equipment, our home owners depend upon the long life and trustworthiness of each of our succeed. Established in 2010, Locksmith Monkey is a locally owned and operated locksmith business based in Northeast Portland. We offer a personalized service to our residential, commercial and automotive clients across Portland. Our expert team has the experience and knowledge to offer the very best locksmith services including commercial, residential, automotive, safes and vaults as well as 24/7 mobile emergency locksmith services. Note: This contact form is provided for customer service purposes and its responses not monitored at all times. 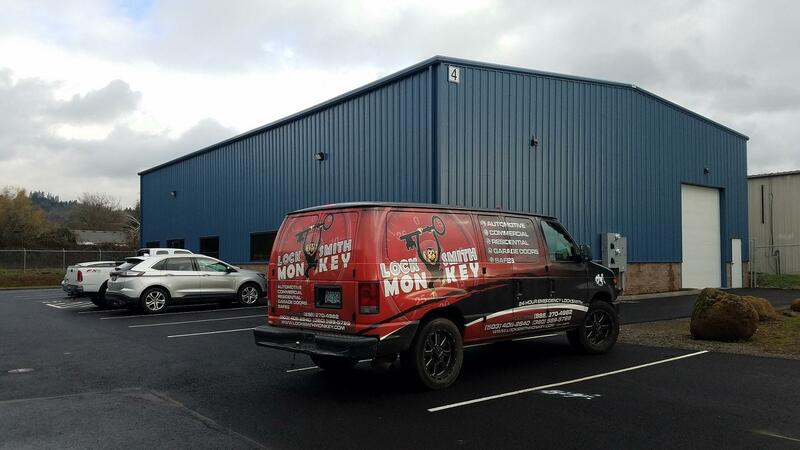 If you need immediate service, please call the dispatch number for your local Lock Smith Monkey (see list of locations) or call (503) 465-4595.